Today completes the first phase of my home repair project for this trip to the USA. The house in Mobile, Alabama was built in 1964, and the siding used on the house was redwood. Redwood is great siding material because it is durable and insects don’t like it. However, nearly 50 years have taken their toll on the south side of the house, which is where we have the most sun and occasional heavy weather from storms approaching via the Gulf of Mexico. The window mounts for the large windows on the south side of the house needed to be replaced. The window mounts were no longer watertight and during heavy rains from the south we had water on the inside of the house at times. 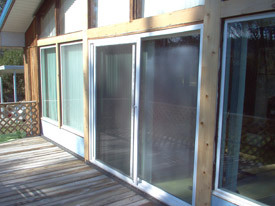 The first phase of the project was to redo the wood around the windows and reseal the mounts. I am not a carpenter, but I think the replacement mounts will hold a few years.